Hello, to my men readers and females that admire a great man in great fashion as much as I do. This post will display an outfit that is fit for any guy, on a casual day. If you are in a climate where, wearing a jacket is still feasible, during the winter to spring transition, this outfit is for you. The jacket shown is lighter than a winter jacket but also made well enough to break the wind. 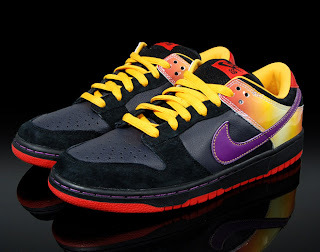 The jacket is NIKE SB Tour and has colorful detailing on an all black majority. This jacket is found on Caliroots.com and is $165.12. 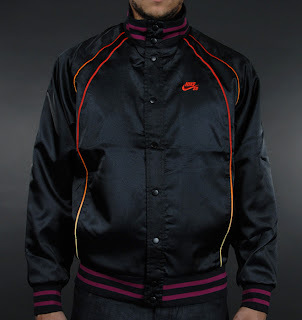 I believe that the NIKE SB Dunk Low Pro will match with this jacket. It matches in a way that is not too matchy and I am sure that the shoes can be worn with other outfits. The NIKE SB Tour jacket can be easily worn with other fits, as well. Price $148.60. Why not match the other two garments with, 7 for All Mankind jeans? Seven has produced a Double Dylan black black jean for the denim connoisseur. Try them on and then decide if you like them or not. Price $185.00.